Want to lose weight? Want to transform your gym experience? Want to train like an athlete? 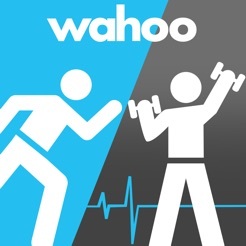 Get fit with Wahoo RunFit, the ultimate heart rate training App for both the gym and running. Count calories, track your workouts, and count your reps using Wahoo RunFit, a super easy to use heart rate based training App. 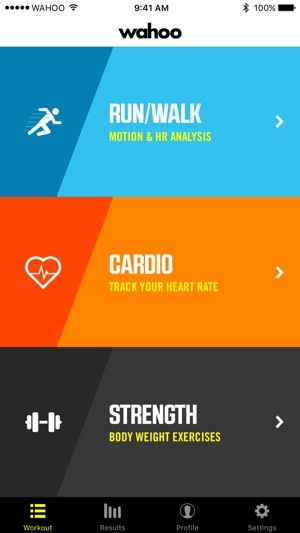 This App is designed to be used with an iPhone compatible heart rate monitor, such as Wahoo’s TICKR or TICKR X. 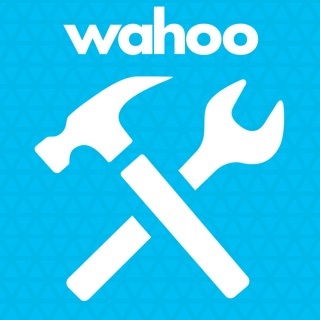 Get your Wahoo TICKR at wahoofitness.com, the maker of the original heart rate monitor for iPhone. Easily see your heart rate and training zone to make your workout more efficient plus track accurate calorie burn when you connect to a Bluetooth heart rate monitor, such as Wahoo’s TICKR and TICKR X. Get personalized heart rate zones by taking a simple, guided heart rate test. Fit in an intense workout in a matter of minutes with one of the HIIT strength workouts. 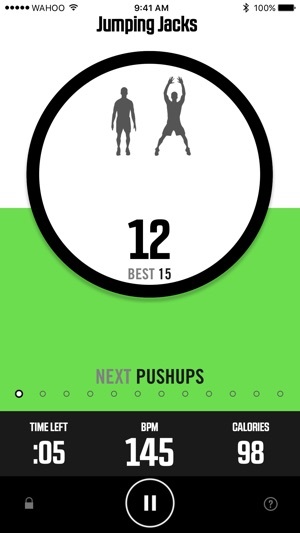 Count your reps with Wahoo’s TICKR X fitness tracker and try to beat your personal best each time. 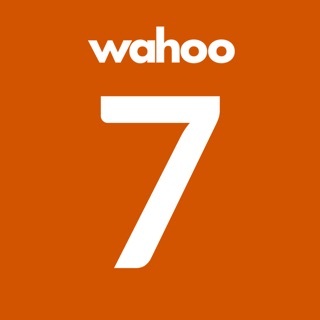 Automatically backs up workouts to your free Wahoo Cloud account to share with your other devices and apps. 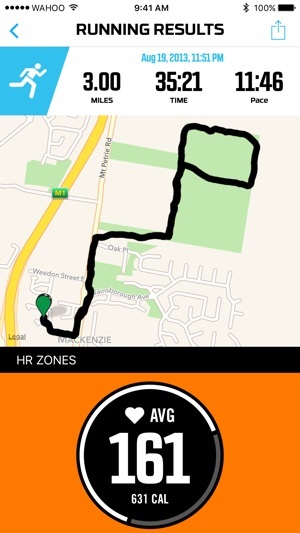 RunFit integrates with HealthKit, MyFitnessPal, MapMyFitness.com, Runkeeper.com, Nike+.com, GarminConnect.com, Strava.com, TrainingPeaks.com,dailymile.com, and many others! Get audio updates on your workout including distance, time, pace, and heart rate. Works with your Apple Watch to track your running, cardio, and strength workouts. RunFit measures all the important running metrics such as cadence, vertical oscillation, and ground contact time, when paired with the Wahoo TICKR RUN or TICKR X. Note: Garmin Connect is no longer accepting uploads. I used the RunFit app for the first time today on my Apple Watch Nike+ edition (series 2) for a 14 mile training run and was very impressed. 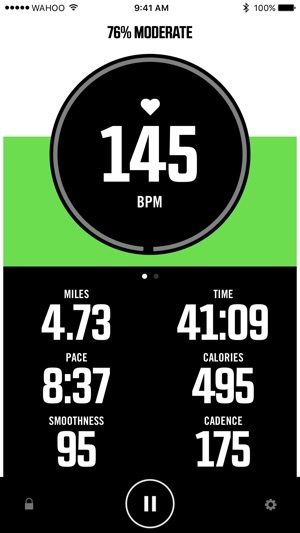 I have been using the native Nike+ Run Club app that came preloaded with the Apple Watch Nike+ edition and found that it is unreliable in runs over 8 miles with the HR monitor active. The Nike app tends to go to sleep with the HR monitor running (like it cannot handle all the data points) and it will measure my run short or show a choppy path on the map. This is not he case with the RunFit app. Today it worked flawlessly and measured my 14 mile run and all the heart rate data as well as I could ever expect. I do wish they Wahoo would add on some more social sharing features like what Nike has done with their app. However, RunFit will export to many third party training programs such as Training Peaks versus Nike being a totally closed system. I’ve been using Wahoo RunFit and Polar Beat simultaneously for over 1 year using the Polar H7 chest strap. There are 2 annoying things about RunFit: 1) it drops out much more, meaning, you turn it on and then after your workout find it only recorded 1 or 2 minutes of the workout (ugh!) 2) You can’t write notes. This is important because many times there are variables you want to keep track of. On the picky side, I find it interesting Wahoo calculates more calories than Polar on low HR-say below 125, and Polar calculates more above 125. Also, their calorie algorithms seem to be flip-flopped on age: Wahoo calculates more calories for age and Polar calculates more calories for youth. In the end, I’d still recommend running 2 apps simultaneously because there have been occasions when Polar dropped out and Wahoo didn’t. Been using the app & heart monitor for a month and it has been a great benefit to my workout. Definitely worthwhile getting it. I would like to see more charts, stats in the results area on the app. Also the walking workout does not display calories burned after you are done much like the cardio selection. Lastly if you ( the developers ) can, add more work out choices. Like half of my workout is cardio and other half is free weights. 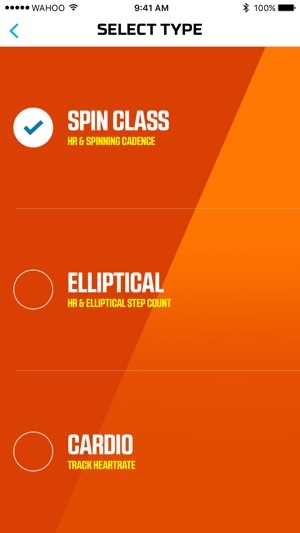 I think my results would be more accurate if the app knew more of what I was doing during a workout. Customers! Well worthwhile getting it.